Did you know tweets with images receive 18% more clicks, 89% more favorites and 150% more retweets? * If you're putting out the call for volunteers are twitter, use one of our free images below to capture extra attention and boost turnout! Right click each image to download, save and use on twitter when sharing your volunteer sign-ups and event news! 2. Add product fundraisers to your community events: The holidays are packed with school and community events like performances, talent shows, concerts, the list goes on. One easy way to boost fundraiser profits is to add a booth or table wherever your school or organization is selling tickets or concessions for an event, and encourage attendees to purchase See’s Candies to help fundraise for your school or organization. Imagine adding a See’s Candies chocolate booth at the holiday concert – can you say ka-ching?! 5. DIY holiday decorations: Ditch the high overhead cost of decorating for your holiday fundraising events and opt for creative, colorful DIY alternatives like these. School and nonprofit volunteers can unite for a DIY decorating party to spend time together and help your fundraiser save money, thus boosting the bottom line! Team VolunteerSpot is a big fan of anything that saves time, lets a person pitch in or sign up from their smartphone, and benefits schools and communities. Kellogg’s Family Rewards Program does all that – and more. Check out our 5 favorite things about KFR and get started earning for your school today! 1. Get Rewarded: Just for joining Kellogg’s Family Rewards you can earn up to 500 bonus points on the spot! Plus, get points every time you buy Kellogg’s products your family already loves. Sign up and join today, it’s easy! 2. Adding a loyalty card: This great new feature from Kellogg’s Family Rewards makes it so EASY to earn cash for your child’s school. Simply connect a retailer loyalty card or membership to your KFR account and start earning whenever you shop. 3. Uploading receipts: Kellogg’s Family Rewards knows no two families are exactly alike, and that’s why they offer many ways for you to upload receipts for points – simply scan or take a picture of a participating receipt and upload from your smartphone, desktop, or text it! 5. Special savings & offers: As if all that wasn’t enough, KFR members have access to exclusive coupons, sweepstakes and special offers from participating Kellogg’s brands. This means savings for your family and more happy kids! Get started today with Kellogg’s Family Rewards – you’ll be glad you did! Where do school parents really like to volunteer? What fundraisers are favorites of school families? VolunteerSpot asked these questions and more and got some surprising answers! Check it out in our INFOGRAPHIC below and click here for more information. With tips on boosting fundraising turnout & profits as well as new, creative approaches to overcoming the hurdles that prevent parents from volunteering in school, this INFOGRAPHIC is a must-share with your friends and school community. Collect Contributions and Raise Money for Your School Online! Remember this one school's humorous take on an Alternative Fundraiser (No-Hassle Fundraiser)? While event and product fundraisers DO help many schools engage families, build community and raise money, many parents agreed they would rather just contribute the money to begin with and avoid the door-to-door wrapping paper sale or staying up late baking for another sale. Instead of keeping track of multiple cash boxes, envelopes and crumpled letters sent home in stuffed backpacks, school-parent groups can send out ONE sign-up link to the entire school (or post on social media, the school website, etc) and collect money and parent information securely (and quickly). Parents click the sign-up link on their computer or smartphone and can make their contribution within minutes, easy! Looking for an easy (and sweet) way to raise money for your school or nonprofit this fall? Check out the See's Candies Flash Fundraiser Sweepstakes today, ENTER HERE! · See’s Candy Dish (1): Great gift for an outstanding volunteer or coordinator! Raise up to $1,000 for your child's school, team, Scout troop or your faith group or local non-profit - it's so easy to enter. Spread the word too so your favorite organization has more chances to win! ENTER NOW, ends 9/15/15. 1. Tweet: A simple tweet can say a lot! If your community organization is looking for volunteers, strategic tweeting might do the trick. Utilize searchable hashtags like city names, events, etc. Check out, 8 Best Practices When Tweeting for Help. 2. Email: Whether in a letter-style email from your nonprofit leader or an eNewsletter full of content and volunteer opportunities, email is going to be one of your number one ways to reach current and potential volunteers at just the right time. Companies like Emma, MailChimp, Constant Contact, and iContact are great vendors to check out for more enhanced eMarketing capabilities. 3. Blog/Webpage: If your nonprofit has a website, make sure your volunteer webpage is doing everything it can for you! Post volunteer opportunities and sign-up links frequently, share volunteer testimonials, and encourage visitors to follow your group on social media. You never know, your next great volunteer leader might just be a google search away! 5. Facebook: Reach volunteers where they're at - on social media! Posting volunteer opportunities, nonprofit news, even feel good quotes and volunteer pictures is a great place to start in developing a communication highway on facebook. Check out Facebook for Volunteer Recruitment & Engagement. 7. Word of mouth: Few recommendations carry as much weight as someone telling a friend what an amazing time they had volunteering for your organization. If you're group is struggling to recruit new members, consider a "Bring a friend program" where current volunteers are encouraged to bring a friend or group with them to the next volunteer event. Organic, word-of-mouth buzz helps build a loyal base of supporters for years to come. 8. Like organizations: Network with similar organizations in your area to boost one another's visibility in the community. Partnering with another local cause or group can give you access to a whole new sect of volunteers and donors who have a record for giving back and supporting the community. Consider swapping emails to one another's lists, sharing booth expenses at the community festival or promoting one another on social media. Fundraising events like galas, auctions, walk-a-thons, and are not only great community builders but main sources of operating budgets for non-profits big and small. Event fundraising, however, can be a real gamble especially when resources are tight. What is the best bang for your non-profit's buck when it comes to fundraising events? What tools and resources help streamline the event planning process to be more efficient and profitable? How can nonprofits secure recurring donations and loyal donors while also raising awareness for their cause? A recent IndustryView study from Software Advice, a company that provides online reviews of nonprofit software, illumines answers to these questions and many more with insights based off a survey of fundraisers who have planned at least one major event in the past year. Check out their INFOGRAPHIC with key findings below and read the full report here. Type of Event: Fun Runs and Walks are recommended for non-profits of all sizes due to their higher ROI and ease of planning, while time-consuming events like concerts and galas take much more work and bigger initial investments. How to Organize: Event planning and volunteer management tools streamline coordination and communication and save hours of administrative work. Check out our favorite free tech tools that simplify event planning, and the Top 10 Fundraising and Donor Management Software Systems recommended by SoftwareAdvice.com. What to Measure: Cost Per Dollar Raised (CDPR), # of attendees, # of donors - what your non-profit measures for success can affect how you decide to fundraise in the future. "Which Fundraising Event is Best for Your Nonprofit". Blend a few fruit favorites in one and you’re set! This is a quick, portable snack for carnival goers and good for them too. Mix up the combinations and complete the look with a fun tablecloth. You can’t go wrong with a traditional corn on the cob this carnival season. Try this recipe to have a batch down in no time and be the sweetest booth at the festival. Without a doubt, funnel cakes are a crowd pleaser at any festival. Meet expectations with this simple recipe you can make from the comfort of your own kitchen. Your booth will complete the entire carnival. You can’t forget to get your popcorn! Give your attendees a few popcorn options at your very own popcorn bar. From flavors to toppings, they’ll keep coming back for more. Offer up a few untraditional carnival treats with some newly fashioned fried pickles. It’s so easy to package a few for guests and offer some dipping sauce on the side. Add even more color to your carnival with these vibrant red cinnamon apples that are sure to lure everyone in. They’ll be sure to turn heads as quickly as it was to make them. Spring carnival can get a little warm. Cool down with a homemade snow cone topped with your favorite flavor. This tasteful treat can do you know wrong – just follow these simple instructions and savor up. Churros are also another favorite guest appearance at festivals. They’re so quick and easy to make, you’ll make this snack your new carnival go-to! 1. Pinterest: Stock up on carnival game and booth ideas, DIY carnival decorations, free carnival printables and signs and so much more with a simple Pinterest search. Follow our carnival ideas board today to get started and happy pinning! 4. Dropbox: Easily store and share important documents regarding your carnival in the cloud with Dropbox's free and secure online storage. Link carnival committee members to expense receipts, supply and game lists, online volunteer calendars, and more. The recipe for Spring fundraising success doesn’t have to be complicated! With the right fundraiser for your school families, time-saving coordination tools, simple social media outreach and fun incentives, your school can boost turnout and profits more than ever before. 1. Get a taste of sweet (and delicious) product fundraisers: Give your school parents a product fundraiser they can really sink their teeth into that is delicious, profitable and fun for the family! Butter Braid® Brand Fundraising offers a variety of flavors of their mouth-watering, signature hand-braided pastries including raspberry and double chocolate. Local fundraiser representatives, short turn-around times and high per-item profits also make this fundraiser a sweet success for any school! Enough said. Check it out for your school today, learn more. 3. Stir up community events: A great way to boost spring fundraising profits is to add your existing product fundraiser to a community event like a carnival, auction or bake sale. Give your fundraiser its own table or booth staffed by a handful of volunteers, and school families can easily place their fundraising orders in minutes (or even redeem tickets or points towards a purchase). With product fundraisers like Butter Braid® Brand Fundraising, you can even have free samples for tasting at your booth to encourage parents to act fast! 4. Whip up the word on social media: Spreading the word this Spring is easier than ever with a whirlwind of strategic outreach on your school’s social channels! Key inclusion in marketing materials like eNewsletters, the school’s website, classroom blogs and local online news outlets are also great ways to get the word out and include more school parents and community members in your fundraiser. FUNdraising goals with great incentives are fun for students and parents alike! Create formal incentives and opportunities for people to share socially during your events. Evan-Moor is a leading education publisher, specializing in helping kids learn with fun and educational teacher-developed products! Their unique fundraising program offers schools the chance to raise money and provide Daily Summer Activity books to families. These summer enrichment books help prevent summer learning loss and promote smooth transitions for kids from one grade to the next. How many items are on your Spring to-do list already? If the season ahead seems dauntingly filled with busy school calendars, sporting events, parent-teacher conferences, spring break, you name it - then this survival guide is for you! 2. Rock those yoga pants. Spring means running from school pick-up to the store to the softball game to make dinner to help with homework to wash last-minute laundry to . 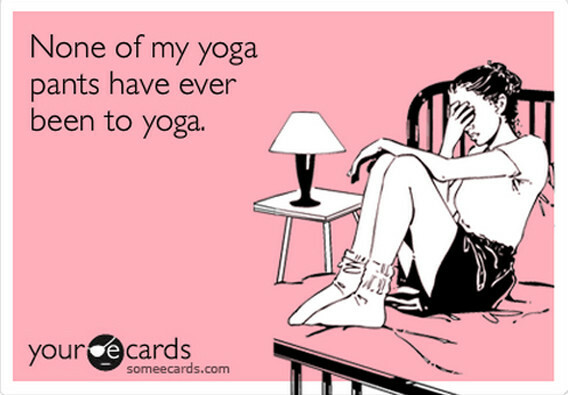 . . yeah, no judgement, moms rock those yoga pants this spring. 4. Save on Spring Break: Easy things to do now to save on Spring Break travel in the future - follow TravelingMoms, resorts, travel agencies and airlines on social media for flash deals and giveaways; and download helpful apps like Gas Buddy and RoadNinja to save on road trip expenses. 5. Get creative with your work outs. The bigger and fuller the wine glass, the bigger the work out for your arms, right?! Find a new fave this spring - we love the Delectable Wines app for helpful reviews and wine recommendations.